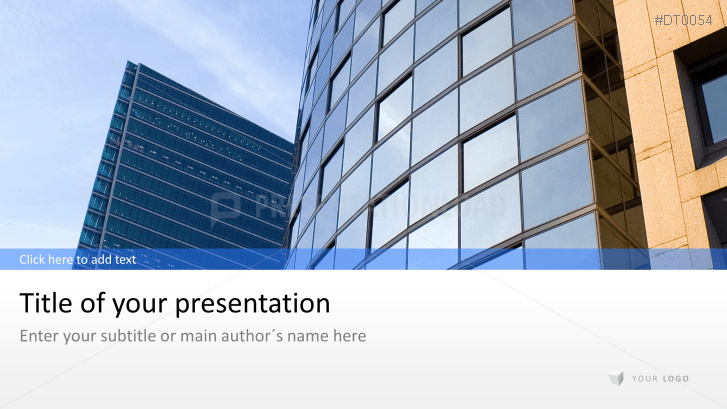 PowerPoint template to help present your company. Use this PowerPoint Template to Deliver Company-Specific Information to Your Employees and Customers. Presenting your company is often the standard introduction to business meetings and shapes the dialogue between you and your audience. Creating the best possible presentation is therefore essential. An effective business presentation can lead you to the successful conclusion of a contract, a new partnership, an invitation to a second meeting, or facilitate internal communication. Our Business Impressions PowerPoint template provides you with the tools you need. The newly formatted Business Impressions template set contains a wide variety of images of conference rooms and business people to visually complement your content. Important company data, such as annual balance sheets, can be professionally presented using individually adaptable charts and tables. Customized infographics are quick and easy to create using the selection of flat design business icons. This set also includes slides to introduce employees and partners, which can be personalized with their photos and contact data.